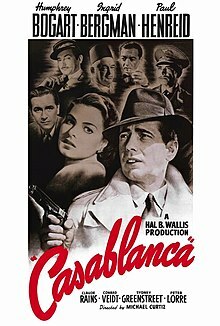 第32位："Round up the usual suspects.「いつもの要注意連中を一斉検挙だっ」"
^ “Film reviews through the years: Casablanca”. Variety. (1942-12-02). http://www.variety.com/index.asp?layout=variety100&content=jump&jump=review&reviewID=VE1117487980&category=1935 2009年9月1日閲覧。.